Acumen Fuse® is a schedule diagnostics tool that pinpoints and resolves shortcomings in a matter of minutes. It provides comprehensive metric, logic and forensic analysis of your schedule. Our comprehensive Acumen Fuse® course looks at how to get the best out of the tool and includes how to create workbooks, customise views, validate project schedules, and perform logic analysis to help with schedule diagnostics. It also looks at more advanced features such as benchmarking, forensic checks, schedule cleansing and creating metrics. Acumen Fuse integrates directly with all major scheduling tools including Primavera and Microsoft Project. Click here to view our course dates. Yes, very useful for understanding what the tool is capable of, and how to use it. Well paced and structured. The breakdown of learning and practical exercises was perfect in my opinion. 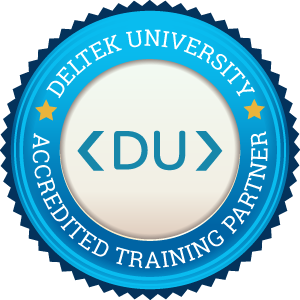 I would recommend the course, it gave a good insight into the Acumen Fuse Toolset. I have been using Fuse sporadically for a couple of years and now have a much better idea of how to get the most from this toolset along with a greater understanding of how to generate alternative views and understand the outputs provided. The session was well run and stepped us through the toolset in a very controlled manner. The pace of the course was good and allowed for questions of the trainer. The small class size worked perfectly as group discussions were generated that for me, were very beneficial. As stated above, learning how to generate data and fully understand the outputs provided. I would recomment the course, it was very informative and gave a good overview of the software. Susan had a lot of knowledge of the software. I found the session very useful. It not only confirmed that I have been using the software correctly but increased my knowledge, enabling me to have further understanding of the benefits Acumen Fuse can bring to the business.I thought the course booklet was particularly good. It contained a lot of information in an easy to read format that will continue to be useful as a guide when using the software. I also thought the exercises used throughout the training were good to give us the experience of ‘doing’ rather than just listening. The venue was very good, perfect for the small group training sessions. Good facilities and location.